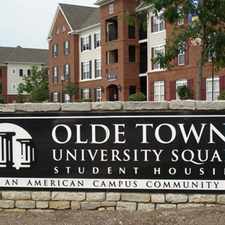 The rent at Oak Hill - Hill Ave. Apartments ranges from $390 for a one bedroom to a $540 one bedroom. Apartments in this building are about 19% less expensive than the Scott Park average. This is a cat-friendly apartment. This apartment is in the Scott Park neighborhood in Toledo. The closest park is Winterfield Park. Oak Hill - Hill Ave. Apartments has a Walk Score of 38 out of 100. This location is a Car-Dependent neighborhood so most errands require a car. Oak Hill - Hill Avenue is a great Southwest Toledo location, located just minutes between the University of Toledo Medical Center (UTMC) and the University of Toledo. Oak Hill is close to everything including dining & entertainment. Oak Hill -Hill Avenue offers one and two bedroom apartments for rent. Our apartments are cable ready with high-speed Internet available. We have many convenient features including one utility bill, ample closet space and laundry facilities. Relax on your private balcony or by our sparkling swimming pool after a day of work or classes. Also ask about our Airport Highway apartments! Explore how far you can travel by car, bus, bike and foot from Oak Hill - Hill Ave. Apartments. View all Scott Park apartments on a map. Oak Hill - Hill Ave. Apartments is in the Scott Park neighborhood. Scott Park is the 18th most walkable neighborhood in Toledo with a neighborhood Walk Score of 40.